Where Can You Find New Deck Installation for the Holiday? Where Can You Find New Deck Installation for the Holidays? You Are Here: Home / Benefits of PVC Decking / Brock Dock / Deck Installation / Dock Supplies / HDPE Decking / PVC Decking / PVC Decking Prices / Uncategorized / Where Can You Find New Deck Installation for the Holidays? If you love spending time in the great outdoors, there are few better places to live in the country than South Florida. It’s always a great time to relax on the boat or host a backyard party. With the holidays quickly approaching, it’s important for your decks to look their best. But if your decks are damaged or have seen their better days, there is a solution. The professionals at the Keys Deck & Dock Supply have the expertise and supplies to provide complete deck installation in Pompano Beach. Over the years, we’ve gotten all kinds of questions from new customers. Among the most common is, “What is the best material for my deck?” At Keys Deck & Dock Supply we have the perfect solutions to your needs. Our team of highly skilled professionals can provide both PVC decking and HDPE decking in Pompano Beach. Back in the day, wood was always the preferred material because of its natural sturdy appearance. But advances in technology have created new materials which provide the same appearance as wood, but provide far superior durability. One of the best solutions is installing new PVC decking. Pompano Beach is a beautiful place to live. But constant exposure to moisture, heat and humidity can take a tremendous toll on wood decks. 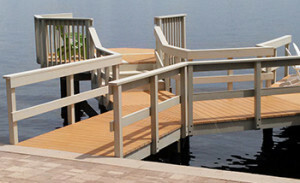 At Keys Deck & Dock Supply, our PVC decking in Pompano Beach is among our most popular products. The reasons are simple. PVC decking isn’t real wood. However, it’s engineered to look exactly like the real thing. PVC decking is made from 100 percent polyvinyl chloride, an extremely durable material that resembles real wood, but is built to last for years. Unlike wood decks, our PVC decking in Pompano Beach is easier to maintain and comes in a variety of vibrant colors. There are so many amazing benefits of PVC decking Pompano Beach. It’s easy to maintain and resistant to UV rays and fading. You don’t have to bother with yearly staining or any deterioration. 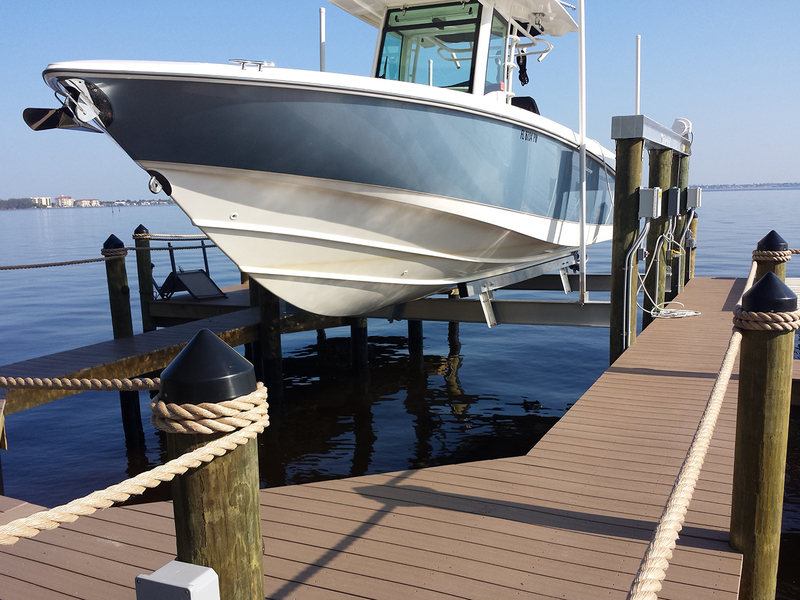 Keys Deck & Dock Supply also provides complete HDPE decking in Pompano Beach. Imagine owning a maintenance free deck? It’s not something that sounds too good to be true. HDPE decking is one of the most innovative decking products currently on the market. It’s produced from a durable thermoplastic that can withstand the toughest weather conditions South Florida has to offer. HDPE stands for high-density polyethylene, which provides the benefits of low maintenance along and can be customized to your specifications. The results are a beautiful deck that’s built to last for years. Celebrate the holidays in style. Show off your new deck at your outdoor or backyard party. For the best in professional deck installation in Pompano Beach, turn to the team at Keys Deck & Dock Supply.